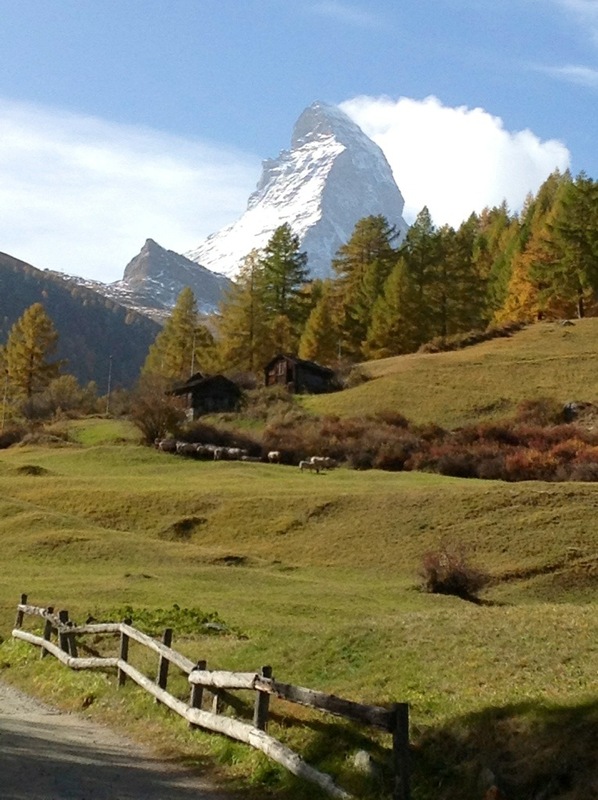 The famous recording that's played incessantly as you stand in line for the Matterhorn ride at Disney has been ringing in my head since Zermatt hit my agenda. I can finally put it to bed now. 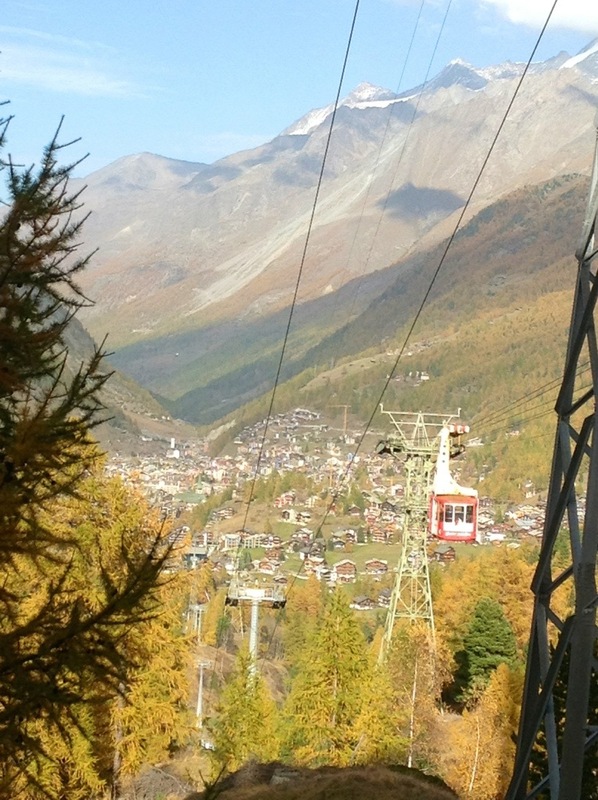 Stepping off the train in car-free Zermatt, I could tell immediately that this is a special place. The quaint, low-key main street feels familiar and easy. Like you'd run into a pack of your best buddies having beers at one of the bars. And there's a kid-on-Christmas-morning hustle on the street of skiers, boarders, and hikers focused on getting up the mountains for their anticipated runs and hikes. I'm sure I would have felt like I was in a holiday globe if it had been snowing. 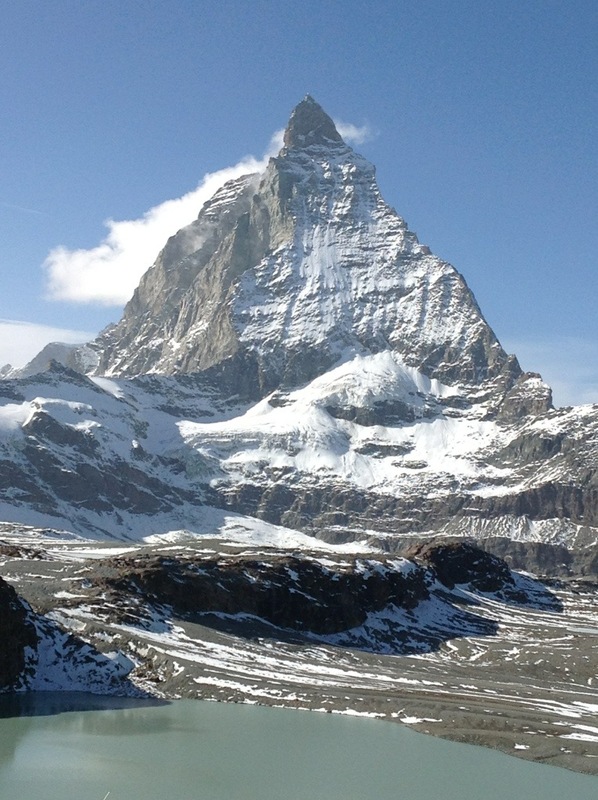 Having seen so many impressive sights (particularly mountains and peaks) over the past few weeks, I was reticent to believe that even the real Matterhorn could wow me. It's as if I'm positive the next sight can't get any better than the last so I'm goading the mountain to just try me. 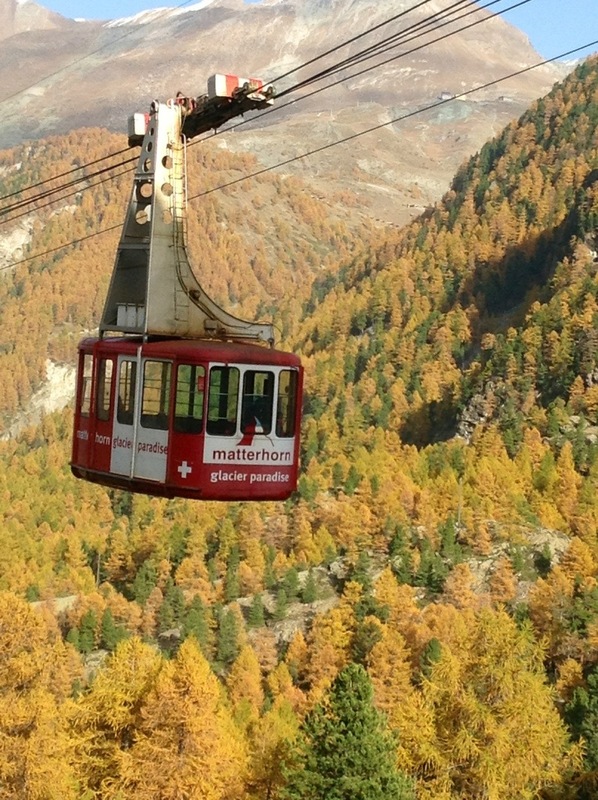 "Come on, Matterhorn! Just TRY to impress me." Then, bam! With the turn of a corner, there it was. Huge. Staggering. Eerie. And, lo and behold, VERY impressive. It wasn't a wow moment. It was a whoooaaa moment. Damn those mountains! There was plenty of activity on the Matterhorn-adjacent peak (to which the cable cars travel for the best viewing points) as skiers and boarders bombed down several steep, icy runs from the top (which happens to be in Italy!). I sat there watching the speed these people were getting (it seemed as if many were competitive skiers in training) and thought how ridiculously amazing it must be to train in the shadow of the Matterhorn everyday. 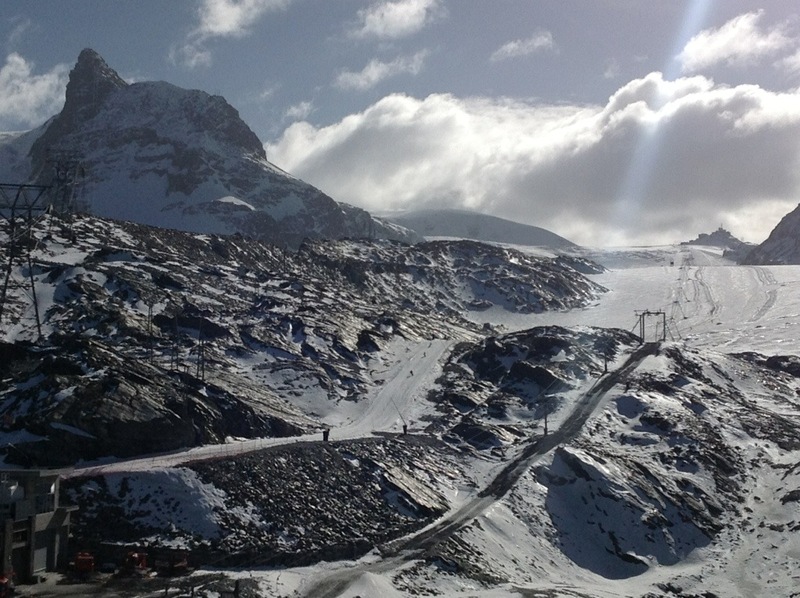 Tomorrowland in Switzerland? Hardly. This is much better than any A ticket ride.